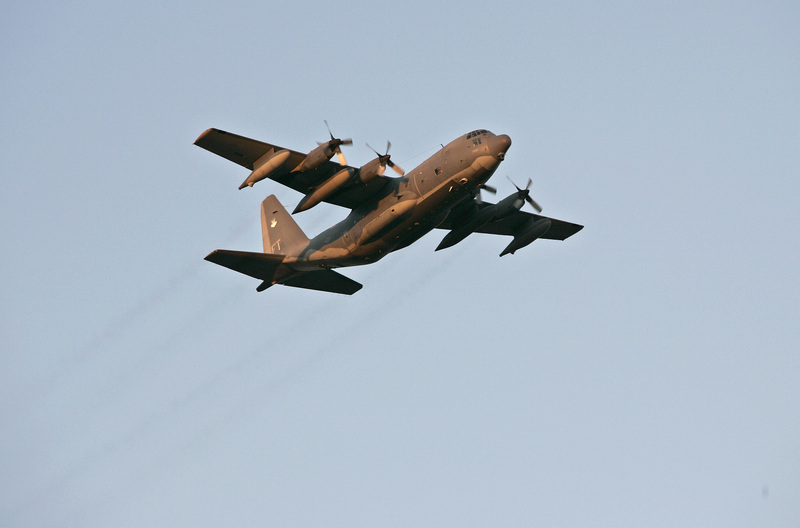 KABUL, Afghanistan -- A U.S. Air Force C-130J transport plane crashed overnight at an air base in eastern Afghanistan, killing six American airmen and 5 civilians, the U.S. military said Friday. The crash happened shortly after midnight Thursday at Jalalabad airfield, 80 miles from the capital, Kabul, said U.S. Air Force Maj. Tony Wickman, spokesman for the 455th Air Expeditionary Wing. Wickman said the plane crashed shortly after take off and that the crash site was "contained wholly within the confines of the airfield."